Are there any groups where people discuss the current episodes? I’m still back in the 2015 episodes, but occasionally my podcast app loses my spot and takes me to a new episode. This one was so gross! Young is so man-centric, or at least self-centered. Polygamy is good for MEN because they get more SONS (not daughters). It’s like he barely even remembers that women exist or are affected by polygamy. At one point, he says he’s sad when he sees a man with no progeny. All the men can’t have progeny because you and your buddies took all the women, Brigham!! What do the demographics show in early Utah? Were there a lot of men who were never able to get married because of polygamy? He also talks about men not being able to care for their families. I’m curious how his best friend, Heber Kimball, would take these kind of sermons. Did Heber think he was doing just fine taking care of his family, despite them living in poverty? I have been listening to the Year of Polygamy podcast. The stories are heartbreaking. The naivety of the women, save a few, was frightening. 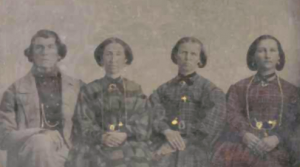 I have a perspective on these women, having been associated with women involved with a polygamist, and having had a great deal of curiosity about the mindset of such women. When I was first exposed to it there was an intense need to understand the logic of it as it was so connected with mormon history, which led me to spend quite a bit of time in their home, asking questions about how they and the man justified the practice. Even then as a committed mormon, part of me felt that if they were wrong, then Joseph Smith was wrong. I had a great deal of mental torment over the situation, just trying to grasp it. Then a couple of years later the husband and one of the wives sought me out and raped me. It was easy then to feel they were wrong, but harder to believe Joseph Smith was right. There was a lot of day to day emotional intensity, seemingly miraculous events, and the fact that the man had received a patriarchal blessing in the church that said he had the gift of revelation. There was nothing I ever saw them do or say that was not similar to what occurred in early church history. So I would say that was the beginning of my struggle with my testimony.